Customer success and customer advocacy go hand in hand. We been syncing up with some of the best customer marketers we know to help share ideas and insights on making and keeping customers happy in order to achieve growth. See our previous interviews with customer marketers from Acquia, Egencia and Vision Critical and subscribe to our blog to ensure you see the next interview! leading developer of software that enables the missions of nonprofit organizations. 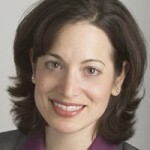 Amy has also held marketing roles at Eloqua, Bulldog Solutions and Freescale Semiconductor. She is based in Austin, Texas. Cross-sell, up-sell and migration opportunities are a big part of Blackbaud’s business. We have substantial resources dedicated to engaging and converting these opportunities. We are consistently successful when we let customers hear from their peers instead of just from us. For example, when we rolled out Raiser’s Edge NXT, the new approach to our landmark Raiser’s Edge fundraising and relationship management product, we made it a priority to capture (in video and written form) our customers talking about their experiences. We have a campaign for our Blackbaud University product called “Realize Real Results” that uses dozens of customer testimonials to highlight the value of training. I don’t like saying anything is the “new marketing” because that implies what we’ve been doing is wrong or “old.” I’d say customer success is “evolved marketing” and has an important place in a marketing strategy. At Blackbaud, we have relatively new customer success and customer advocacy organizations and they have found many ways to feed each other. Here’s a small example: part of the onboarding of a new customer (owned by customer success) now includes an invitation to join Blackbaud Champions, our advocate program. Everybody wins: The Customer Advocacy team recruits a customer to be involved in advocacy when they are new and excited about starting to work with us; and Customer Success gets to remind them they made a great choice by demonstrating our commitment to them with an invitation to great program that already includes hundreds of their peers.